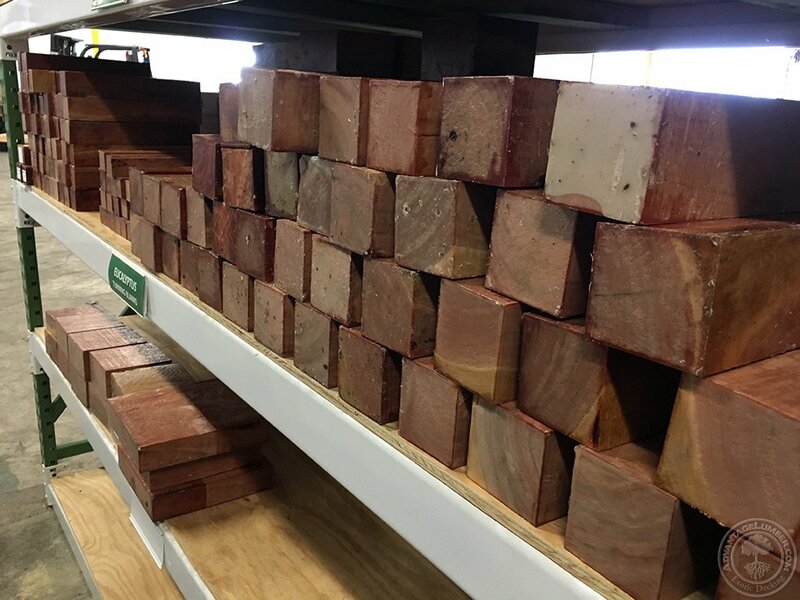 Eucalyptus Lumber - Shipped directly to you. DESCRIPTION The eucalyptus we sell is comprised of two species. Both are indigenous to Australia. 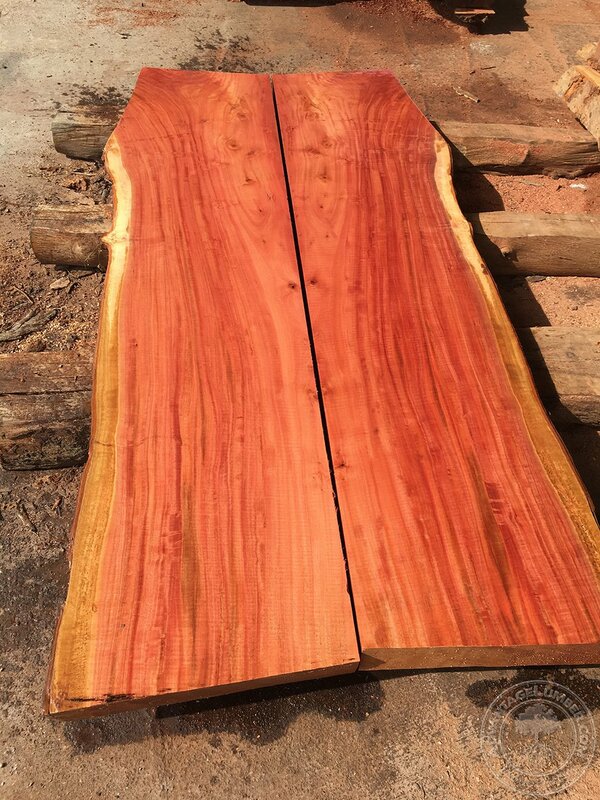 Red eucalyptus is a deep red in color. Often the wood is figured. Several figure types occur the most common is a bees wing figure but curly grain and burl is also seen. 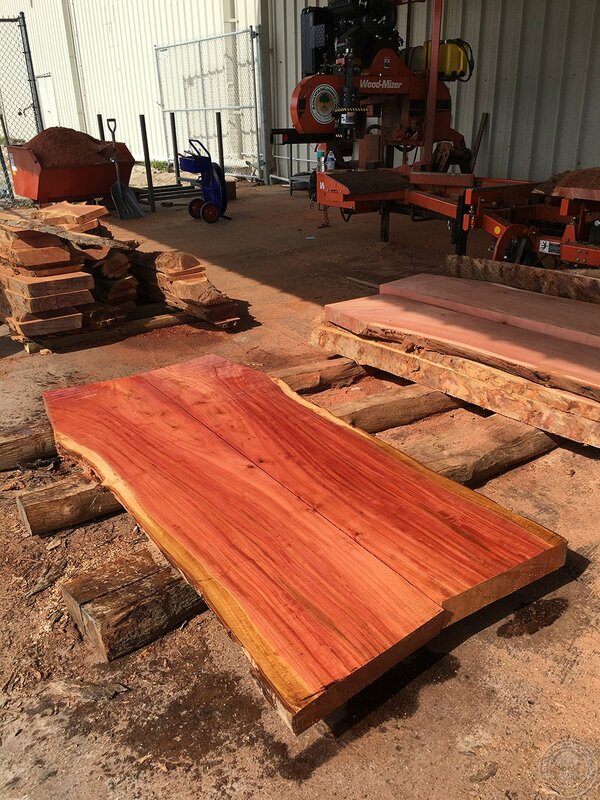 Pink eucalyptus is a beautiful pink color almost indistinguishable from the very prized and very expensive pink ivory. The same figure types occur in the pink eucalyptus as well. 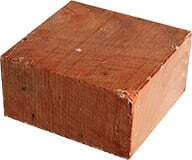 MECHANICAL PROPERTIES Eucalyptus is a very strong wood for its density, however the wood is quite brittle and is low in shock resistance. 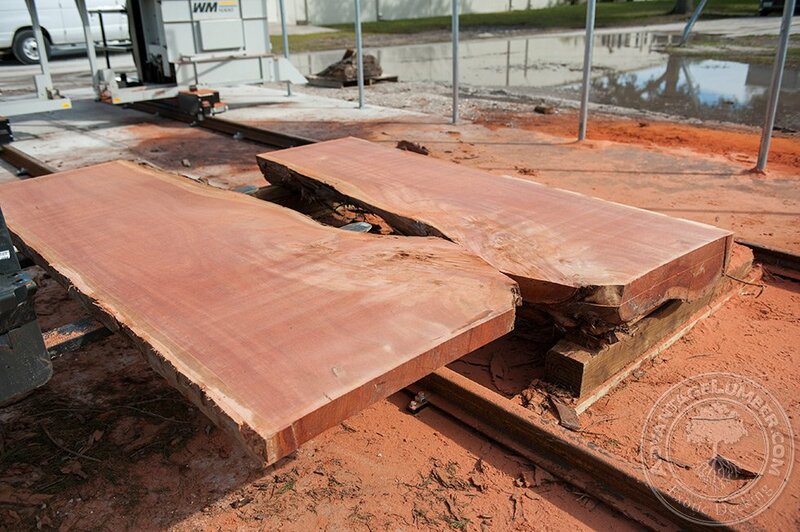 Eucalyptus is prone to cellular collapse so distortion in drying is quite common as well as surface checking. 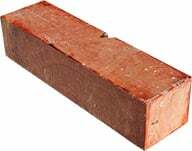 The wood has a moderate durability rating. WORKING PROPERTIES The wood is quite dense but cuts well. The wood is great for wood turning, however is check prone so care must be taken.. 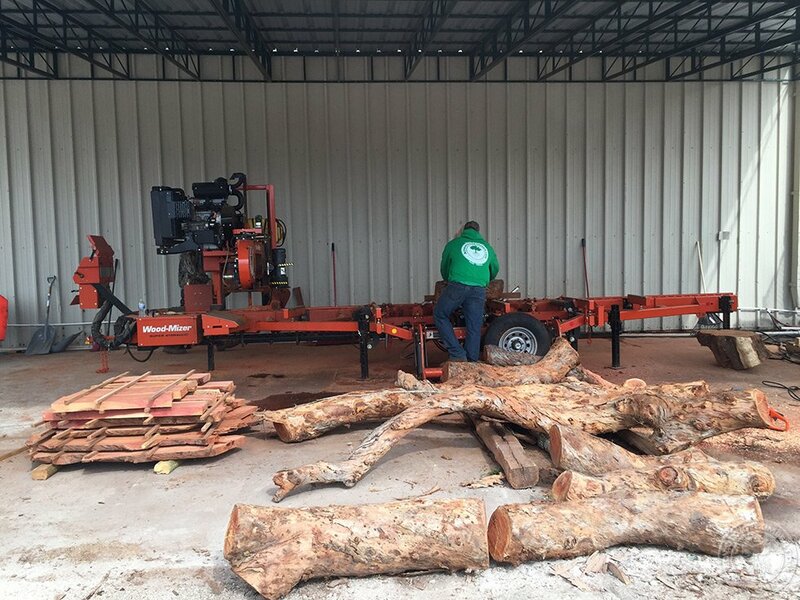 The wood will distort as it dries so to rough out oversize, let season, and then finish turn for best results. When kiln dried amazing furniture can be produced. 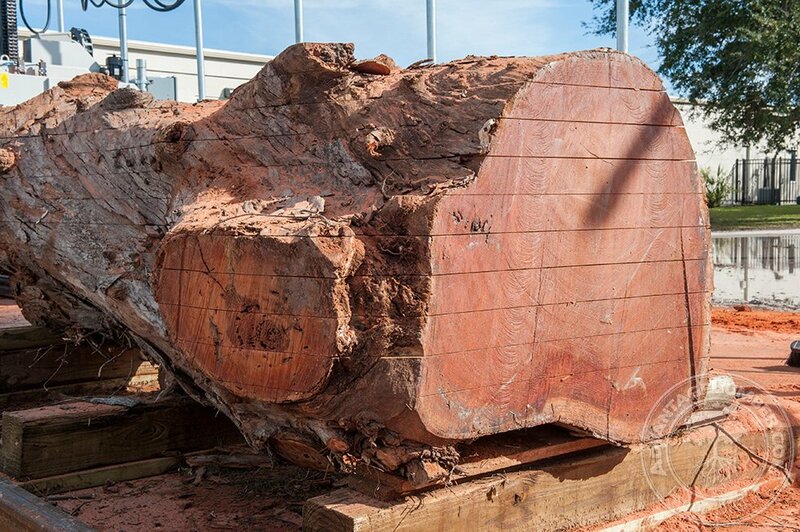 We flitch saw our logs through and through to produce book matched live edge material. 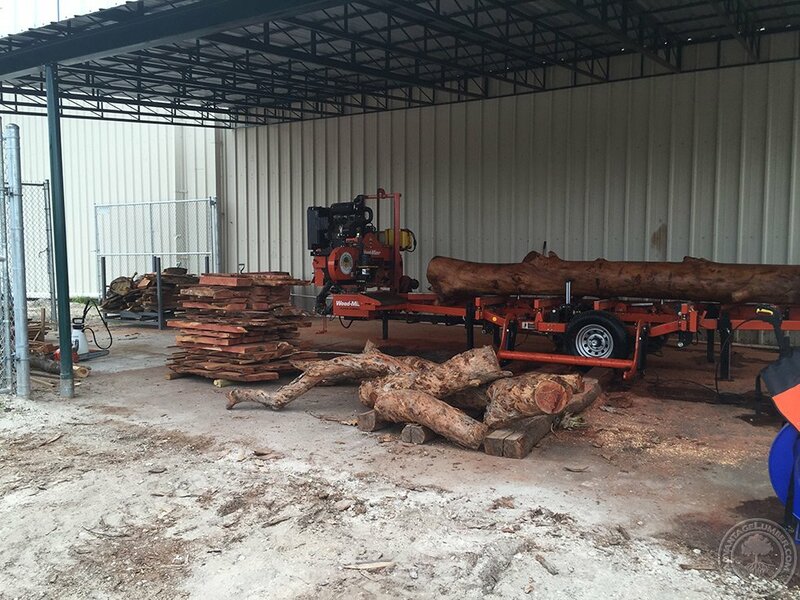 This could allow you to build one piece of furniture from one log for a nice homogenous color and figure throughout the piece. 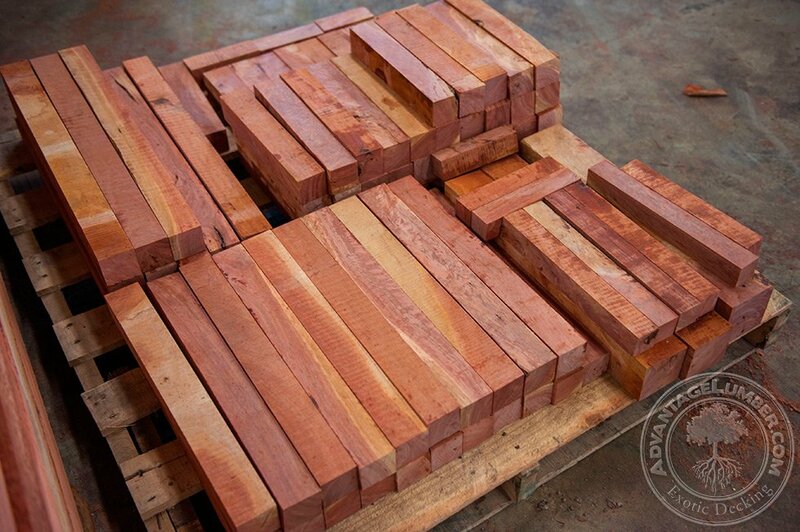 Eucalyptus turning blanks in stock ready to be shipped. Eucalyptus flitch sawn book matched log. 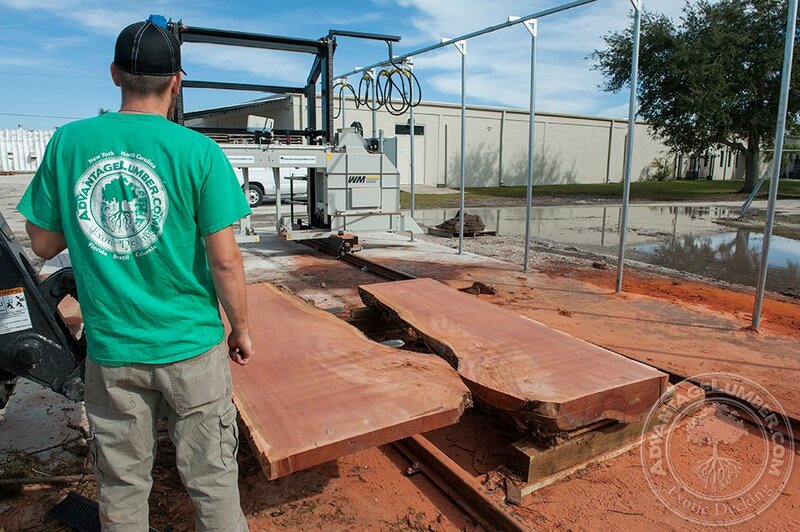 Eucalyptus being milled at our Florida saw mill. 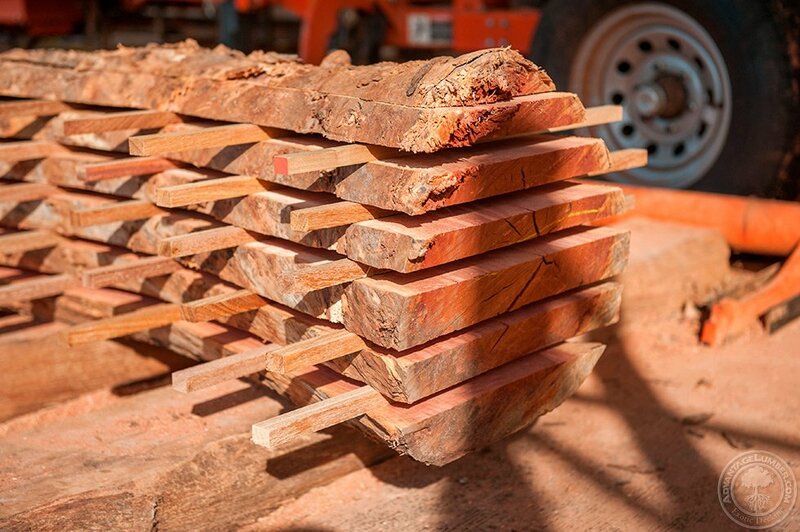 Eucalyptus logs ready to be milled in our Woodmizer. 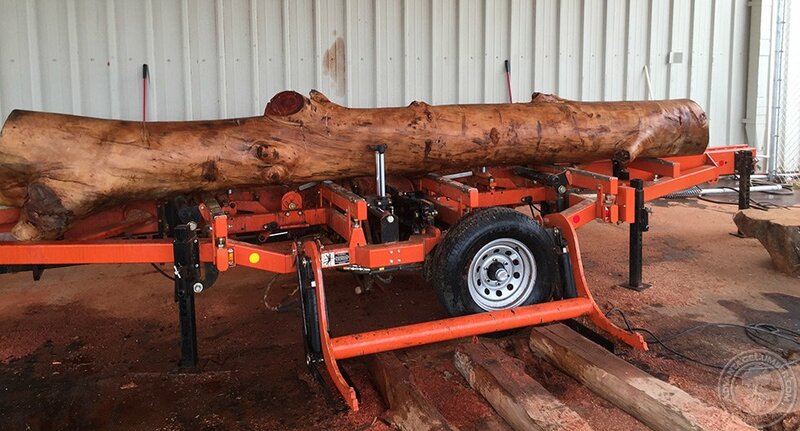 Eucalyptus log being loaded onto our Woodmizer. 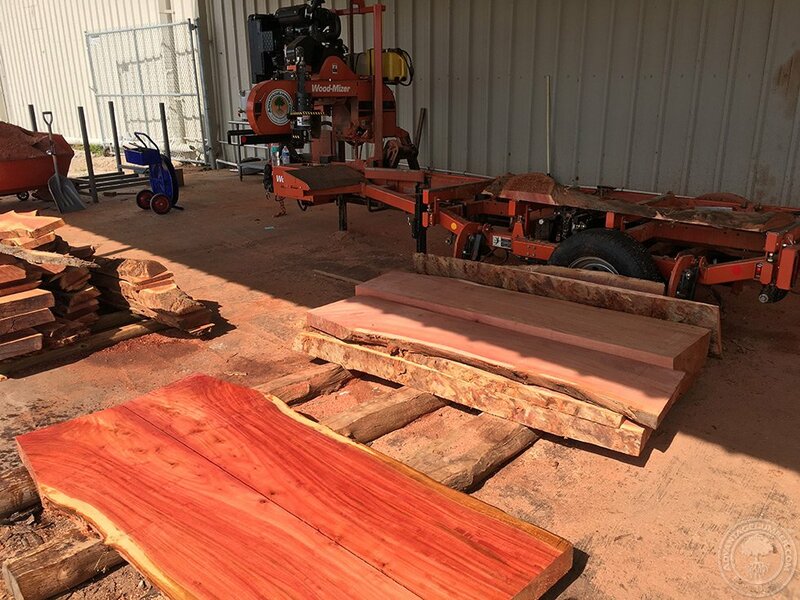 Eucalyptus log on our Woodmizer about to get milled. 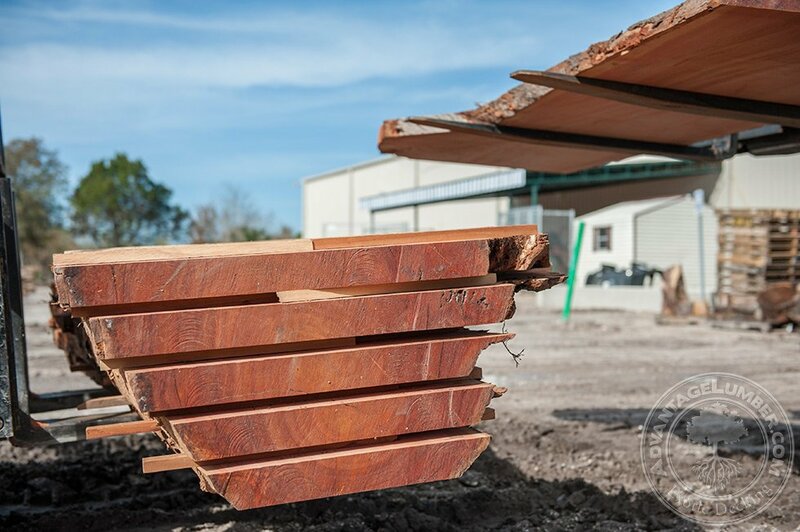 Rough sawn Eucalyptus lumber stacked after being sawn on our Woodmizer. 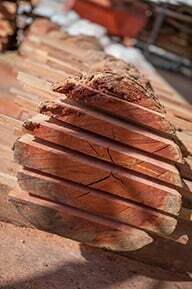 Cross-section of a cut Eucalyptus log. 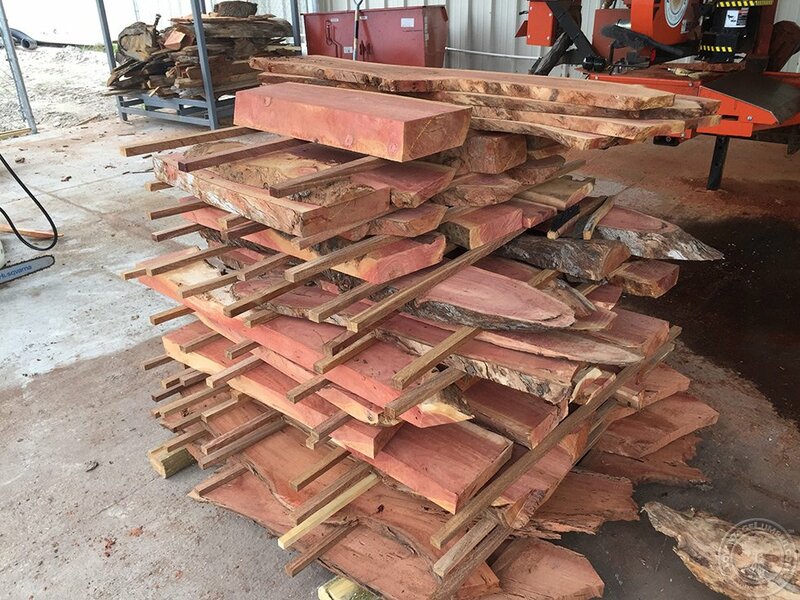 Eucalyptus slabs after being milled by our Woodmizer.